The preparation and cooking all went to plan. It really is a very simple jam to make. The chunky ends of the lemons were too tough for the blender; they and a few tiny pips floated up during boiling and were ditched. I tried the cold saucer-wrinkle test. Put a saucer/small plate in the ice-cube/freezer section for a few minutes, then pour a teaspoon of the hot jam on to it and leave for a minute in the fridge. Gently push the surface of the jam from the edge and if it wrinkles while still warm underneath, it is likely to set. I also used a sugar thermometer. At the wrinkling stage it had not reached the official jam temperature (about 105C), nearer 102C, but this is not an ‘official’ jam and I reckoned it was done. N.B. Too long cooking will darken the colour so the jam will look less appetising. Dry-sterilising is simplest. Put very clean, dry jars, open end up, on a baking or roasting tin, place in a cold oven and heat it to gas ½ or the lowest electricity setting. Leave for 15-20 minutes (while the jam cooks). The flavour and texture resemble a slightly coarse lemon curd. 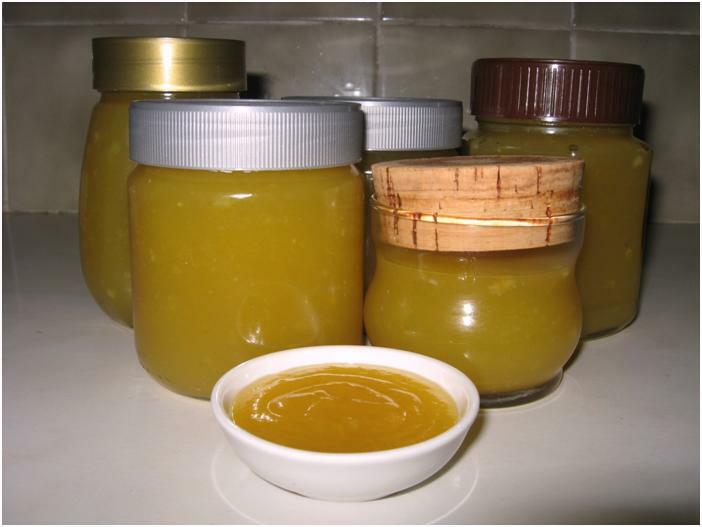 When cold it was similar in consistency to soft, thick honey and did not drip off my tepid toast. It’s a great filling for Victoria sandwich cake or jam tarts, and could substitute for the filling in lemon meringue pie (with a bit more lemon to sharpen it). As with all preserves, store somewhere cool and dry. 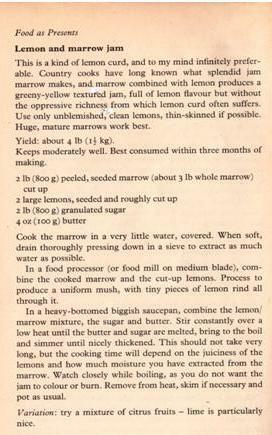 This entry was posted in 1970s, Food As Presents, Patricia White and tagged butter, lemon, marrow, sugar. Bookmark the permalink. What an unusual work of nature (Buddha’s Hand Citron). 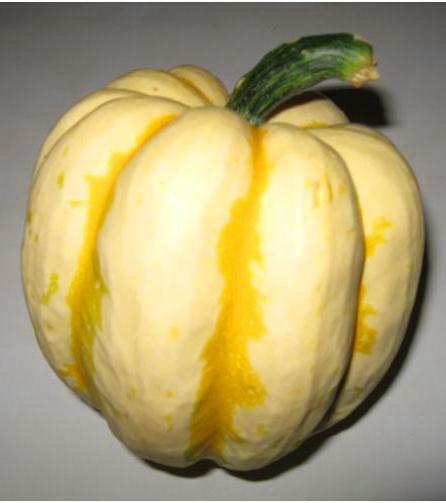 It would add flavour, but the result could be a bit bland and sweet; the acidity of lemon juice is essential, in my view.